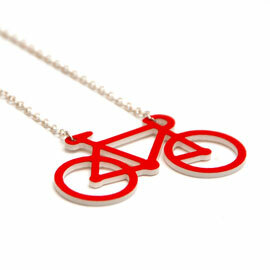 Can i pretend to be one of those fit Designer types that cycles to work everyday by wearing this rather cute red bicycle necklace? Hmm, perhaps optimistic, but one for the Christmas list none the less. Yum.